Sevrak years after the original Star Trek show ended its run and people were hoping for a return of the voyagers of the Enterprise and it's crew, we were given an animated version in 1973-74. Even though it was not exactly what people wanted, it was a start. Most of the original actors supplied the voices and some of the writers retuned, so the feel of the show was there. This package is a great tribute to the original show, but the animation is lacking a bit. Still a long over due release! Available on November 15, 2016. 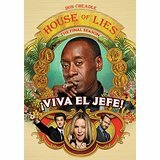 The Final Season of HOUSE OF LIES roles into Cuba for it's final season! Acadamy Award winner Don Cheadle heads this series as it comes to an end. Sadly this well made Showtime series is ending but with this strong cast it will be watched for many years to come. The show also stars Kristen Bell and Ben Schwartz as well as a host of great guest stars! Don't miss this release on November 29, 21016. Well, it's that time of year again! As we move into the Christmas and Holiday season, some of the best Christmas specials will not be on TV...they already have been on years ago and now back on DVD! 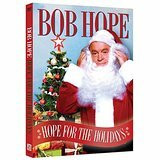 BOB HOPE: HOPE FOR THE HOLIDAYS brings back the master showman with some of his best holiday shows. Bob always had the best guests and this is a DVD that your whole family will enjoy and become a yearly family tradition! Available November 1. The final episodes of this gritty series finally arrives! 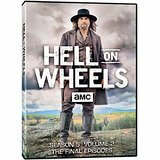 HELL ON WHEELS: SEASON FIVE VOLUME 2:THE FINAL EPISODES brings to an end this well made show. Also, the same day, HELL ON WHEELS: THE COMPLETE SERIES comes our way with all five seasons with 57 episodeon 17 discs! Sit back and relive the final episodes or the entire run! Greed, corruption, and more! No not this years political season...just another great show from AMC! Available November 1. I have to admit, I had missed this show on it's original run on Showtime, but through the magic of BLU RAY and DVD, I have had the opportunity to catch it...and I'm glad I did! 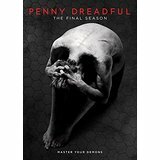 PENNY DREADFUL: THE FINAL SEASON stars Eva Green, Josh Harnett and Timothy Dalton. Spooky, dark, thrilling...all this and more! Check it out, you will be glad you did too! Available October 4. No doubt, Johnny Carson is the King of Late Night Talk Shows. The warmth he gave to his guests and his nice guy appeal will forever keep him in our memories, but now with THE TONIGHT SHOW STARRING JOHNNY CARSON: THE VAULT SERIES we can share what made Johnny special with others who never had the chance to see it for themselves. A true class act! This set holds a special place in my collection and it should in yours! Available October 4. 22 episode's loaded with great music and great stories! 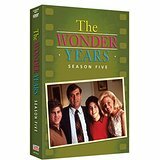 THE WONDER YEARS: THE COMPLETE SIXTH SEASON follows Kevin and Winnie as they grow up and apart. 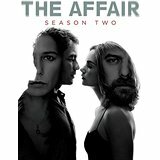 This is the final season of this wonderful show and it has it's suprises. It's no wonder this show garnished so many Emmy's. You don't want to miss this final season. Available September 27. MOWTOWN 25: YESTERDAY - TODAY - FOREVER brings back the 1983 TV special that brought the world it's first look at Michael Jackson's 'moonwalking'....TV history! But along with Michael stealing the show, it brought us a huge amount of classic hit music and more! Diana Ross, The Jacksons, Stevie Wonder, Marvin Gaye, The Temptations, and so many others! A music lovers dream! Available September 27. The sixth season of BLUE BLOODS continuesthe story of the Reagans! 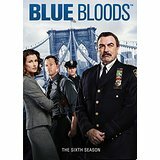 Tom Selleck stars along with Donnie Wahlberg, Will Estes and Bridget Moynahan in one of TV's best shows about a family of police officers. The DVD is loaded with extras, including one of my favorite segments, the gag reel.Another set to add to your "don't want to miss" DVD's! Available Seotember 20. One of TV's longest running show comes out with it's 12th season on DVD! 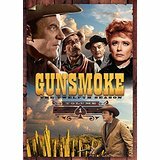 GUNSMOKE: THE TWELFTH SEASON VOLUME 1 & 2 rides into stores starring James Arness. This is one of the best westerns that TV had and has to offer! Matt, Doc, Festus and Miss Kitty are all here! Available September 20. 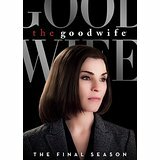 THE GOOD WIFE: THE FINAL SEASON wraps up the story of Alicia Florrick as she continues to become her own woman. Julianna Margulies stars in this well written show. The collection includes many special features interviews and a gag reel. Available September 20. Once again TIME LIFE comes up with a wonderful release of TV history. 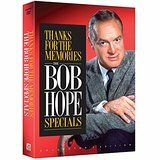 One of the memories of growing up in the 60's and 70's was watching Bob Hope and his great specials with so many amazing guests.This set of 6 DVD's with 13 of Bob's specials is a must have! I would list the gursts on this collection but we don't have the room!!! So many guests as only the master could bring on his specials! Available September 20. 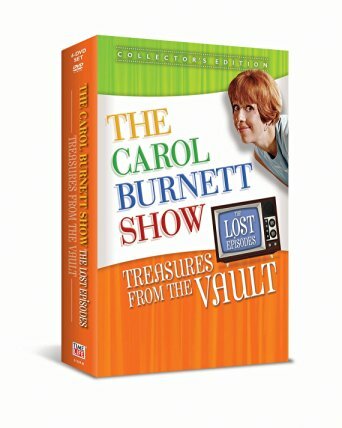 Here is another release of THE CAROL BURNETT SHOW. This one features lost episodes that haven't been seen since they were shown on TV. LIsten to our interview with Vicki Lawrence as she talks about the show and this release. This is a true classic piece of TV history! A wonderful addition to your collection! Available September 6. 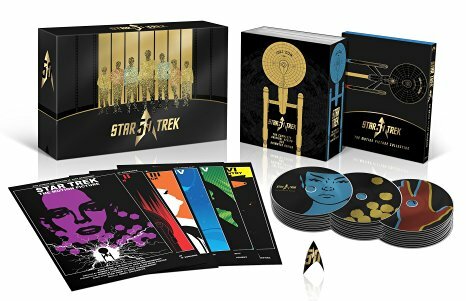 STAR TREK 50th Anniversary TV and MOVIE collection is THE collection you have been waiting for! 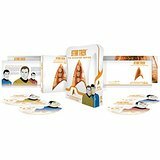 All in one package; all the original episodes, the animated cartoon and all the movies with the original cast...WOW! What a great collection to celebrate the anniversary! Dont' miss this one! A true gem! Available September 6. The NCIS series of shows have all had long runs on TV. NCIS: LOS ANGELES SEASON 7 continues the run of quality shows. Chris O'Donnell and LL Cool J continue to heat up this high action show. 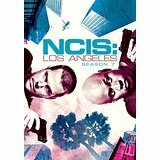 NCIS: Los Angeles has 24 episodes in a 6 disc set that you do not want to miss and is a great series to add to your collection! Available August 30. 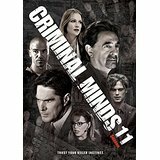 CRIMINAL MINDS: SEASON 11 brings 22 episodes of this mind gripping series to DVD with over 14 hours of action! This 6 disc set stars Joe Mantegna, Shemar Moore, Thomas Gibson and more! This one even includes a gag reel, which are always fun to watch! Don't miss this exciting season! Available August 30. 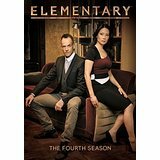 ELEMENTARY: THE FOURTH SEASON stars Jonny Lee Miller and Lucy Liu as Sherlock Holmes and Watson. This is a very interesting show that draws you into each episode and does not let go til the end of the ride! I can't say enough for this series, which you don't want to miss. Available August 23. THE AFFAIR: SEASON 2 brings back another scandalous season of the show that won a Golden Globe! Dominic West, Ruth Wilson, Maura Tierneyand Joshua Jackson star in a show the you will surely become addicted to! Filled with twist and turns, murder, lust and more, THE AFFAIR is a winner! Available August 16. BITTEN: THE FINAL SEASON takes us to Stonehaven, from where we may never leave! 3 discs and 10 unedited episode completes this final season of the struggles of this female werewolf! This is another one of those shows that you can't take your eyes off starring Laura Vandervoort! Available July 19. 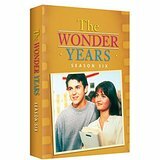 THE WONDER YEARS is without a doubt already considered a classic! Filled with music and one of the strongest storylines on TV ever. Fred Savage will forever be Kevin Arnold and Danica McKeller as the girl of his dreams, Winnie Cooper. Excellent writing, perfect casting and wonderful performances make this a not to miss season! Available May 24. Not much to say about this one! 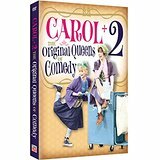 CAROL + 2: THE ORIGINAL QUEENS OF COMEDY features Carol Burnett and Lucille Ball in a rare 1966 Special that you don't want to miss! bonus features include the movie Carol starred in, "Once Upon A Mattress". It has Carol Burnett, what more could we ask for! Available February May 17.